Arbogast Custom Homes is a boutique custom home builder committed to attainable excellence. Accepting only a limited number of clients per year, Tod Arbogast insists on being personally involved in every home he builds. Each home we build is as unique as the homeowners themselves. All of our homes are built with exquisite craftsmanship and a commitment to customer satisfaction. Honesty and integrity are cornerstones of our building philosophy. Strobel & Associates, LLC, a family owned home building company that can trace its roots for building custom homes in the greater Austin area back to 1995. Over the years, we have earned a solid reputation for excellent quality, cost efficiency, conscientious construction, and have provided outstanding personal service for each of our clients. Garner Homes is an award-winning custom homebuilder providing meticulously executed designs and unparalleled service. Since 1998, Garner Homes has been designing and building custom homes in San Antonio, Boerne, Austin and throughout the premier neighborhoods of the surrounding Texas Hill Country such as Cordillera Ranch, where Garner Homes is part of the esteemed Premier Builder program. Each home we build is as unique as the homeowners themselves. Every Garner Home is designed with the exquisite craftsmanship and commitment to customer satisfaction that our team of experienced professionals has embraced and insisted upon since we founded the company. Avenue B Development, LLC is an award-winning construction, remodeling, and interiors firm focused on whole house renovations and additions that are completed with timeless craftsmanship and a bit of Austin soul. We pride ourselves on our strong relationships and communication with clients and architects, as well as our in-depth expertise of remodeling and adding onto older homes. We also develop and offer select remodeled homes for sale in Austin's highly desired central neighborhoods. Bespoke is the byword for David Wilkes Builders. Our company offers a meticulous level of craft for custom projects. We apply ingenuity and rigour in transforming residences into places of beauty, comfort and functionality. Our projects have been honored with several awards and recognition in a number of print publications. 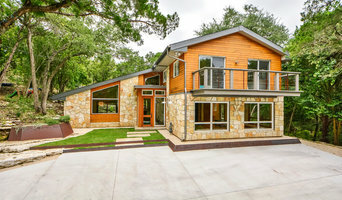 We have worked with some of Austin’s best-regarded architects and interior designers. Whether classic or contemporary architecture, small bungalow or large villa, single room or whole house renovation, execution is what matters to us. We are intent upon executing every component of each project with utmost care and skill. A building practitioner for 25 years, David Wilkes is a graduate of Wolverhampton University’s School of Engineering and the Built Environment, one of England’s most respected building programs. Catherine Wilkes, who handles administrative operations, holds an MBA and is LEED AP certified. 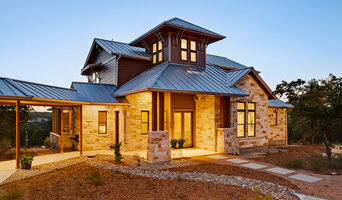 Custom home builder for the Texas Hill Country. Godsey Homes has been building and remodeling homes since 1998. In 2003, Shoberg Homes began building and remodeling high-end homes in Austin with a hands on approach and unmatched attention to detail. Shoberg Homes has since grown into one of the top-choice custom home builders in the area, as its foundation is built upon construction quality, painstaking quality control, and dedication to homeowner satisfaction. Though every project and client is unique, each receives the same consideration, time and communication necessary for a successful project completion. Shoberg Homes is and will remain a small, highly-detailed custom builder, keeping each customer’s interests as our top priority. As our enthusiasm matches our customers’ vision for a project, we are confident in our ability to build a home of the utmost quality that will stand the test of time. We welcome the most discriminating clients and look forward to the opportunity to work as a team to achieve the goal of creating a one-of-a-kind masterpiece! Over the past years, our success is due to our dedication to quality work and customer service. Honesty and open communication have empowered our workforce since the very beginning thus we have a track record of many completed projects which were on time and within our client's budget. - Our project managers and team members work to attain the highest standard for our clients; although our team is not very big, we are competent, attentive, and ready-to-help professionals. As a general contractor we work on both residential and commercial projects. For residential, we remodel bathrooms, kitchens, whole house remodels and create additions. 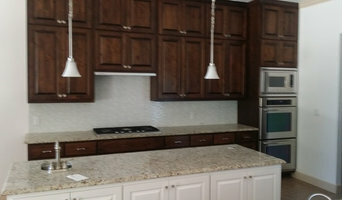 - Having ready access to a counter top company - Exotic Stone Works which imports and installs counter tops, gives us a wider variety and choice of quartz, granite and Silestone(R) for our clients. Our custom cabinetry always delights our clients with its versatility and sophistication. We also provide job costing and budgeting tailored to your pocketbook, we also can connect you with great designers who can help you maximize the use of your space. We also can schedule our work around your needs i.e. your family time requirements - our knowledgeable and experienced estimators and project managers are always open to discussion about your budget and ready to provide advice and solutions. - We have a proactive approach to all our projects regardless of their size and our personal attention insures completion of your project. The professional path that we have been traveling allows us to confidently declare ourselves as a company with a large portfolio of successful projects in which our new clients can find exclusive design solutions such as with the currently trendy Southwest Minimalism and its unusual combinations of natural stone and wood blended with modern techniques. - This eclectic approach to remodeling definitely makes us a pioneer. We are proud of the quality of the work done and the loyalty of many clients who often call us back for more remodeling. We welcome the possibility of working with you to help you find the solutions that would best meet your needs. After all, you spend most of your life in your home or working in your office; you deserve to enjoy your living spaces every minute of your life. General, or construction contractors, are often known as project managers. They oversee the entire remodeling or new home construction project and facilitate all day-to-day tasks that move it toward completion. A Dripping Springs general building contractor will work with your architect to review plan as you build a house and ensure everything is in place before work is started as well as arrange for permits and necessary inspections. While good local home improvement contractors in Dripping Springs will have the skills to handle certain tasks onsite, such as carpentry, he or she is also responsible for hiring subcontractors for the majority of jobs, such as electrical work, painting or plumbing. In addition, the general contractor should be on-site regularly to inspect the progress and resolve issues. Here are some related professionals and vendors to complement the work of general contractors: Architects & Building Designers, Interior Designers & Decorators, Landscape Architects & Landscape Designers, Kitchen & Bath Designers, Specialty Contractors. Home remodeling contractors are a must for successful completion of a renovation. Because of this, it's essential that you do your homework before deciding on the right general contractor in Dripping Springs as you remodel or build a house. Inspect bids carefully. Was it ready when the contractor promised it? Was the bid for building a home unusually high or low? Each of these things can be very telling: A late bid may reflect timing standards, and an off-the-mark bid could be code for a pricey premium or a deliberate underbid to score the remodeling job. You should call references, carefully read reviews and visit completed projects in Dripping Springs, TX to see if they’re what you expect for your job. Once you do secure your local Dripping Springs contractors, read the contract very carefully to be sure everyone is on the same page. 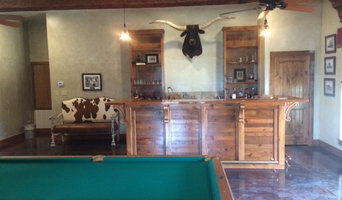 Find a Dripping Springs contractor on Houzz. 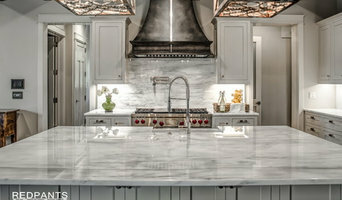 Narrow your search in the Professionals section of the website to Dripping Springs, TX home contractors. You can also search for photos in Dripping Springs, TX and contact the Dripping Springs general contractor who worked on the project.